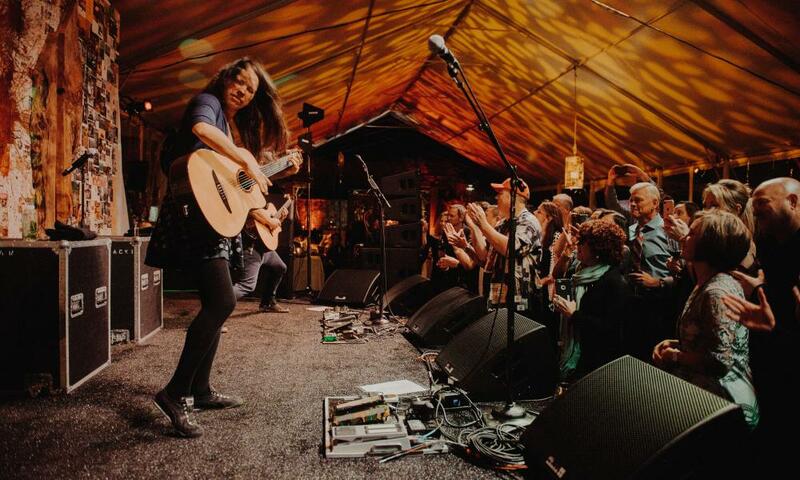 It’s the most happening weekend all year in this charming mid-valley town: Scheduled for March 15 to 18, Yountville Live is four days that combine great music and killer food, with 14 performers, 17 of the area’s top restaurants, and 14 local chefs. Thursday opens the long weekend with the Kick-Off Reception, including food and wine tastings as well as a performance by singer/songwriter Foy Vance. Then come the Eight at Eight Dinners, a VIP sensory experience with eight coursed dinners, each paired with a premier Napa Valley winery. The dinners are followed by live performances by an up-and-coming artist, and each dinner is limited to 30 guests to keep it intimate and personal. Featured performers will include Emerson Hart, Dave Barnes, Jon McLaughlin, Keelan Donovan, Marc Broussard, Logan Brill, Corey Harper, Sawyer, and David Ryan Harris. There are also Master Class Experiences, which give guests a chance to walk the vines with vineyard managers, prepare signature dishes in the kitchens of Yountville&apos;s most famous restaurants, and blend wines with renowned winemakers. On Friday night, the Red Carpet Gala will feature the James Beard Award-winning chef Stephanie Izard, who recently won Food Network’s Iron Chef challenge against some of the biggest names in the culinary world. After this memorable dinner, there will be a special performance by the X Ambassadors. Friday and Saturday nights you can mingle with the weekend’s performing artists, chefs, and winemakers at the Late Night VIP Parties. Located at downtown Yountville hot spots, these events will include small bites, craft cocktails from regional mixologists, and a selection of wines and bubbles. Each after-hours party will include live musical performances from such bands as High Noon and Kingsborough. On Saturday and Sunday, Taste of Yountville is a town-wide street festival that includes 100 food and wine tastings, craft beers and local spirits, chef demonstrations, and more live musical performances. Napa Valley’s own renowned chefs and winemakers will be joined by a variety of participating chefs from across the U.S. Finally, on Sunday the Bubbles Brunch will offer a buffet of craft foods inspired by a passion for open-fire cooking, provided by executive chef Morgan Robinson of Smoke and a performance by the South Carolina rock band NEEDTOBREATHE. There will also be a Stella Artois specialty bar, a build-your-own Bloody Mary bar, and an elegant sparkling wine and mimosa bar with fresh squeezed juices and local garnishes. Whatever your vibe, if you’re passionate about music and food, you’re going to love this weekend!